This upcoming Air Jordan XXX1 Low “Triple Black” receives a luxurious makeover of the month of July. Going with a more fashion-forward look, this low-top Air Jordan XXX1 is ready for the summer fun. Dressed in a Black, Anthracite, and Metallic Gold color scheme. 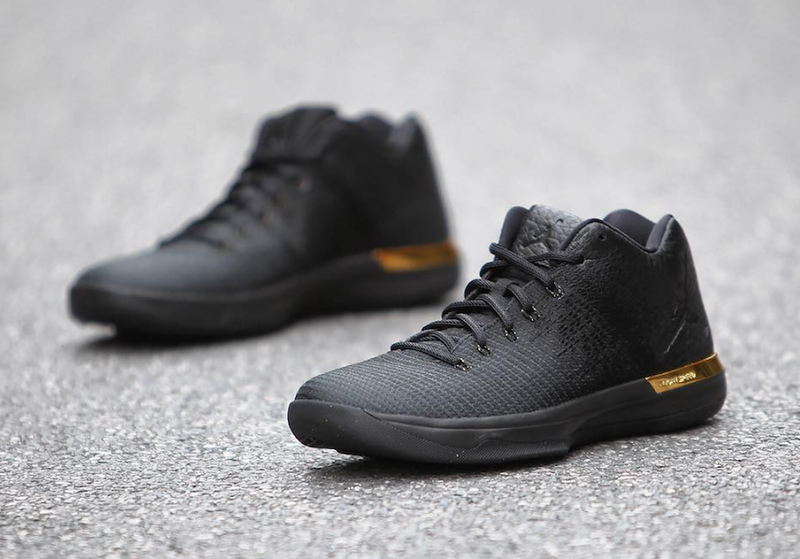 The summer-ready iteration of the Air Jordan XXX1 features a Black Flyweave and tumbled leather build. 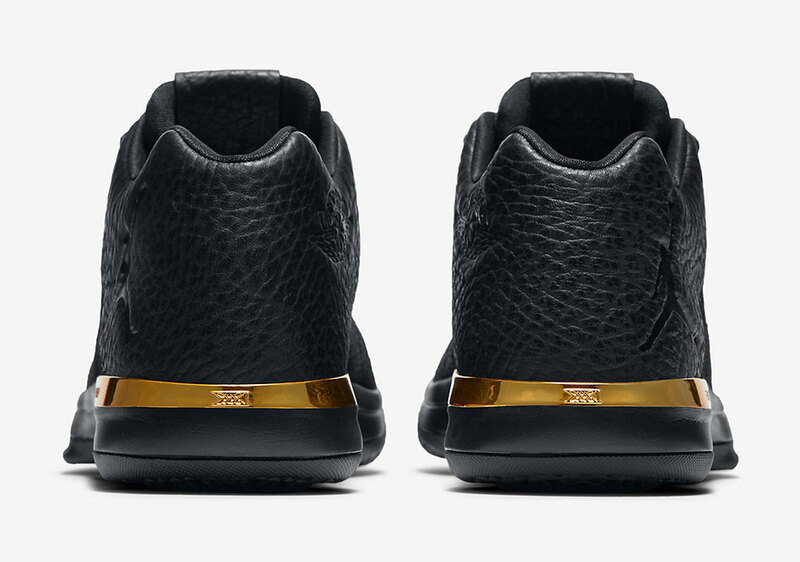 But the highlight of the shoe is its Metallic Gold accents on the heel bumper, insole branding and lace tips. Look for the Air Jordan XXX1 Low “Triple Black” to release on July 28th at select Jordan Brand retailers and Nike.com. The retail price tag is set at $160 USD. 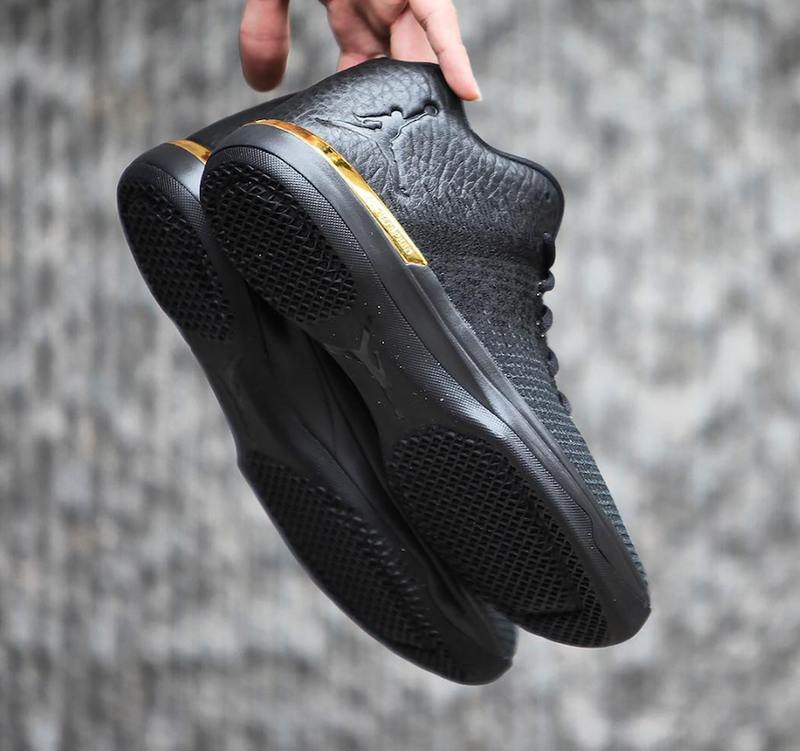 UPDATE: A closer look at the Air Jordan 31 Low in Black and Gold that drops July 28th. Photos via GC911.